Air India Express, the low cost arm of beleaguered Indian national carrier Air India, is looking to lease eight new Boeing 737-800 aircraft for a period of between eight and twelve years. According to a tender released by the airline, Air India Express is looking to dry lease eight Boeing 737-800 aircraft equipped with winglets for an initial period of eight years. The carrier would also have the option to extend each lease by an additional four years. Maintaining a young fleet is essential to providing low-cost services, especially in a low-cost sphere facing growing competition in India thanks to the upcoming launch of Air Asia India. 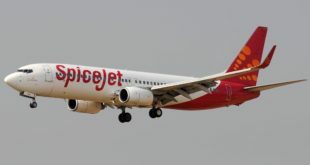 Even on Air India Express’ more insulated trunk routes serving the Gulf, low-cost competition from operators such as flyDubai continues to grow, making it imperative that Air India Express maintain strict cost discipline.